This article is for educational purposes only. It should not be used as a template for consenting patients. The person obtaining consent should have clear knowledge of the procedure and the potential risks and complications. Always refer to your local or national guidelines, and the applicable and appropriate law in your jurisdiction governing patient consent. 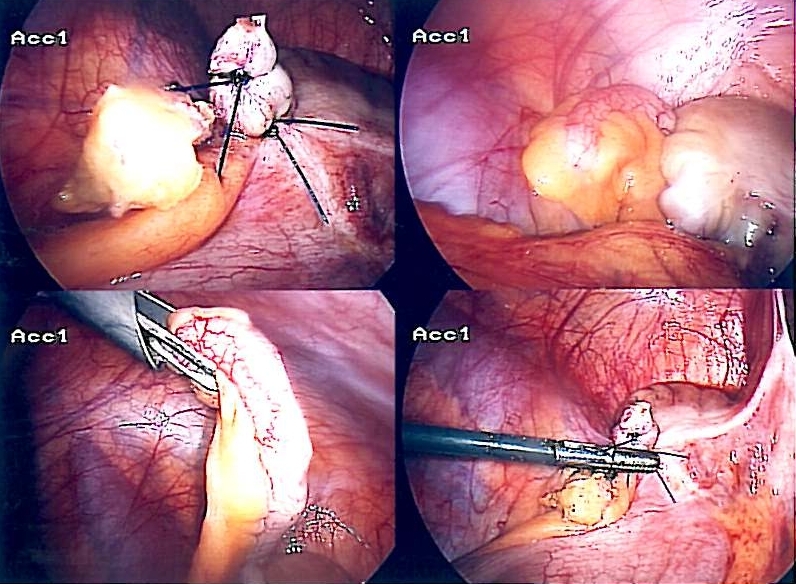 Appendicectomy is typically performed laparoscopically, however open appendicectomy remains a common procedure worldwide. The advantage of the laparoscopic approach is the minimally invasive approach and the ease of visualising the uterus and fallopian tubes in women. Post-operative recovery and pain scores are also reduced with this approach, as is the risk of wound infections. It is important to run along the bowel for all cases, especially if the appendix appears normal, to look for a Meckel’s diverticulum. Conversion to open surgery including full laparotomy* This may be necessary if the procedure is difficult, for example if the appendix is extremely inflamed and you cannot safely secure the base laparoscopically, or if there is other pathology such as a cancer or carcinoid tumour. Removal of ovary / fallopian tubes It is important to emphasise to the patient that this is very rare, but it is occasionally necessary if the pathology causing the symptoms is actually tubo-ovarian in origin. Stoma This is rare, particularly in the young, but it can be required in a few cases hence is essential to consent for. Bleeding There is a small chance of bleeding and bruising in the abdomen post-surgery. Scarring Any scar may form a keloid scar, particular in high-risk ethnicities. Blood Clots DVTs and PEs are a possibility in any operation. The risk is increased in patients with a raised BMI, on the pill, recent flights, previous DVT, pregnancy, smokers, cancer and prolonged bed rest. The patient will be given anti-embolism stocking and low molecular weight heparin peri-operatively to minimise this risk as deemed appropriate. Hernia Any incision has the potential to cause a hernia in future, either through a port site or in open surgery. Avoid heavy life for 6 weeks post-surgery. Adhesions Abdominal surgery may cause adhesions as a reaction to the procedure. Reintervention There is always a potential for further surgery due to infections or slippage of ligatures. This is up to 5% in contemporary Western studies.